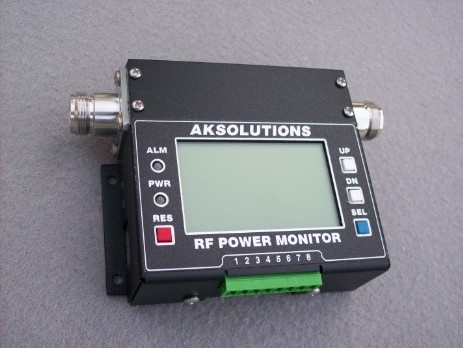 AK3XV2 monitors are available with either 7/16 DIN or N connectors. Combinations of F/F or F/M are also available to simplify installation. Both warning and alarm levels are user-set, and can generate SNMP, email and/or SMS notification. Monitored parameters are: forward and reflected power, SWR, temperature, and input DC power. Timers are provided for stuck-key and no-key detection, as well as two sets of total keyed and idle time accumulation. 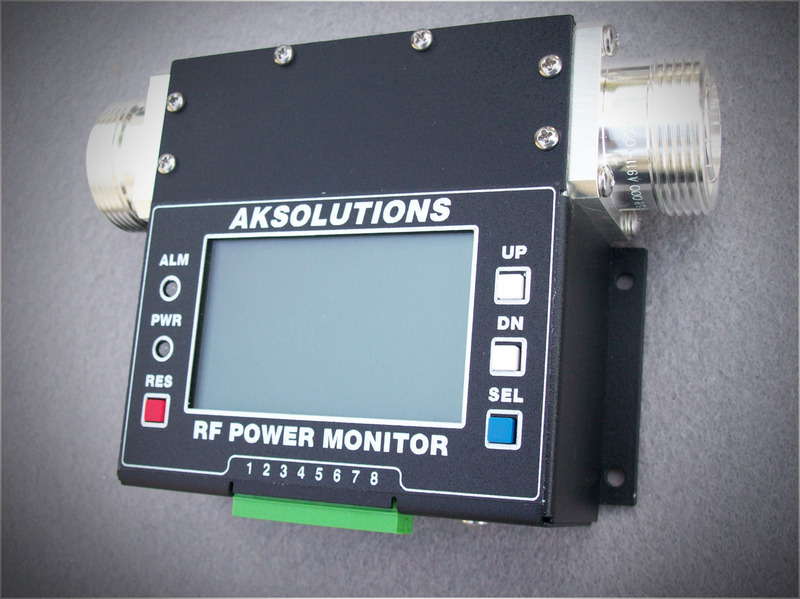 The bi-directional RF sensor is integrated into the monitor. 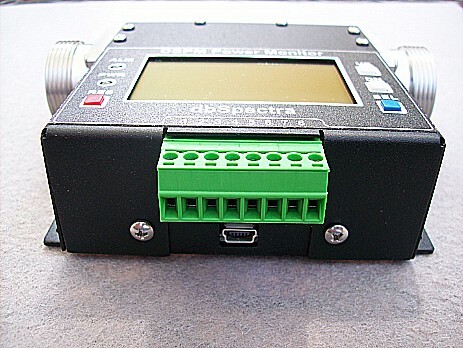 It features a very low PIM specification of better than -155 dBc, and works with a wide range of modulation types. Software automatically detects forward and reflected power. Models are available in 10W, 100W, 350W and 500W ranges, and covering the 100-325MHz, 406-1000MHz and 1.8-2.7GHz bands. 7/16 or N connectors are now available, in a combination of male and female. 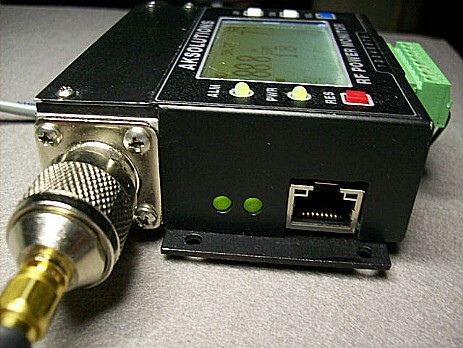 The monitor includes a Form-C relay that can be used locally to enable or disable transmitters, switch in backups, or for general purpose use. While both warnings and alarms can generate remote notification, alarms can also activate the relay. 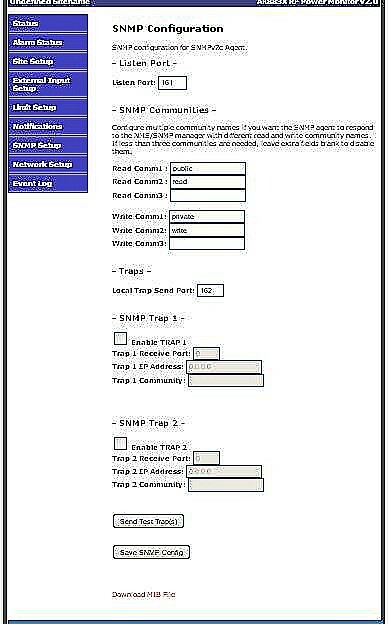 If not needed for alarming, the relay can instead be controlled independently through SNMP or through your browser. An external keyline input is provided, but the monitor can also use an adjustable threshold to detect key. If not used for keyline, the input can be used as a general purpose alarm input (for example as a door sensor), and generate remote notifications. The temperature sensor is easily mounted externally to monitor heatsink temperature, environmental, etc. The useable range is -40C to +85C. 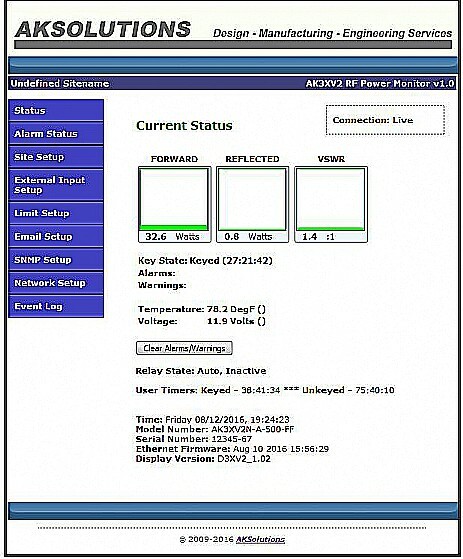 Monitor setup and status are available through the front panel LCD and buttons, through the web server, or through USB and Tera Term (or similar). Most parameters can have both warning and alarm levels assigned, along with settings for email and SMS notifications. Setup pages are password protected to prevent unauthorized access. New! We now have a -48V to +12V inline adapter available for use with the AK3XV2, as well as 2U 19" single and dual mounting panels. If needed, please let us know!